With a total of approx. 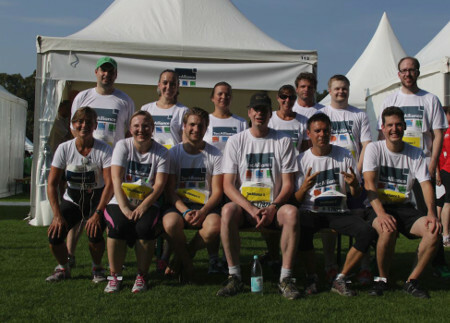 20,000 runners from 1,100 companies from Cologne and the surrounding area, this company run – the biggest in North Rhine-Westphalia – chalked up a new record for the number of runners taking part. The TecAlliance company tent proved once again to be a meeting place for runners, staff, clients and others with an interest in TecAlliance. And after a successful run, this was where the day reached its relaxed end. Thanks to the great motivation and enthusiasm of the staff taking part, the Business Run was yet again more than successful for TecAlliance with plenty of fun and team spirit very much in the foreground. Some of TecAlliance’s runners in front of the company tent.